Are you a Cheltenham Champion? Cheltenham is a brilliant, vibrant and diverse town, home to people who are passionate about where we live and what goes on here. 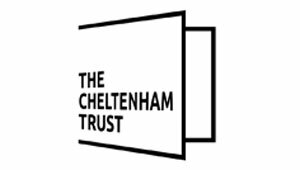 We’re on the hunt for ‘Cheltenham Champions’ who are keen to share their insights and experiences with others and are prepared to provide content for the Visit Cheltenham Blog. Be knowledgeable and passionate, and be able to write. Content can be supplied regularly or on a one-off basis, and all ideas are welcome. It must have a relevance to out-of-town visitors and be at least 350 words, preferably supported by at least two images if they are available. You can be passionate about a specific subject e.g. Food, History, Nightlife, or can provide an insight into life and happenings in Cheltenham in general. Share your content via our channels and promote you and your business at the same time. Whenever possible and appropriate, we will also share your content with national and international channels. We’re also happy to discuss other opportunities for crediting and benefitting you, if you have them. To express interest in becoming a Cheltenham Champion, please email Victoria at apt marketing.